A perfect arrangement to show someone how much you care! 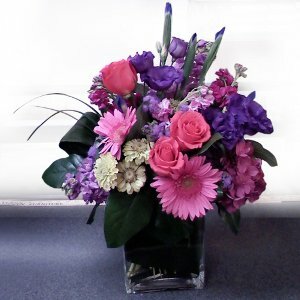 This bouquet is a perfect fit for a birthday, anniversary, or any special occasion. 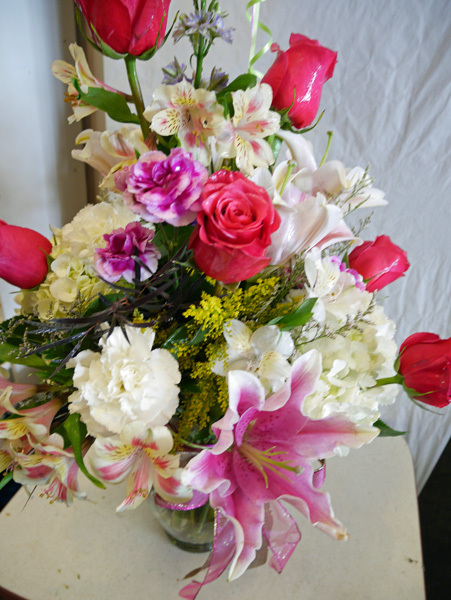 Roses, larkspur, alstroemeria lilies (Peruvian lilies), carnations, stargazer lilies, and hydrangeas are presented in a clear glass vase.